For almost 60 years Hinkel Equipment Rentals has served the energy, telecommunications, construction and film industries nationwide. 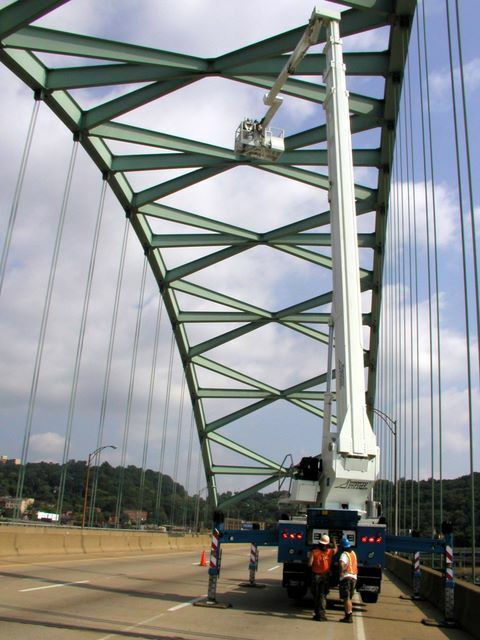 As a dealer and service provider for Bronto Skylift, the industry-leading manufacturer of safe, reliable, and easily transported ultra-tall aerial lifts we are able to meet all your needs with the best equipment on the market. We are proud of our ability to professionally offer 24/7 support and service for all of our rentals while helping you to find solutions quickly and minimizing any downtime. Our expertise ranges from providing the latest in aerial lifts to on site safety training. Our specialties include equipment rental and sales for: energy generation and transmission; manufacturing; construction; infrastructure inspection and repair; architectural assessment and historic building work; film and TV; and telecommunications. We provide on-site crew training and drivers to get the job done safely and efficiently. We have a Skylift for all occasions.